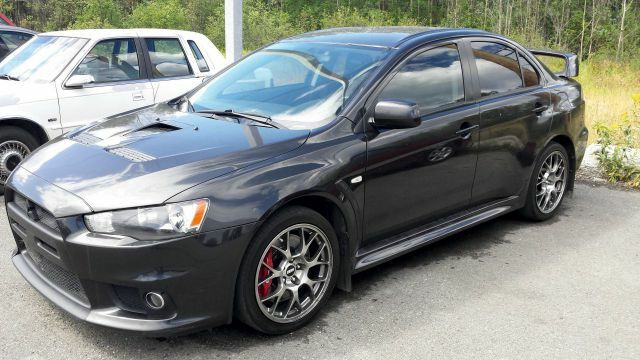 2010, Mitsubishi Lancer Evolution X. It's terrifyingly fast. It costs less to insure than my Volvo by a not insignificant amount... for some reason. As of this picture, it has an after-market racing clutch I've been unable to identify which makes starting from a dead stop a pain in the arse.